I know people have been through the Artisan experience in Fort Worth. Looking for more specifics on that process, etc. Thanks! What specifics exactly??? 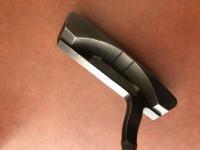 I went and got fit for my putter by John. They told me probably the first of the year for wedges. I have been reading this thread, and in 2017 it sounded like early 2018 for purchase. Now early 2019, I am not getting my hopes up. 1. Any idea on price? 2. Are these going to be fully customizable? I would love to get longer wedges (as I am tall) playing to a more normal swingweight of D4, D5 or the sort (without counterweighting). 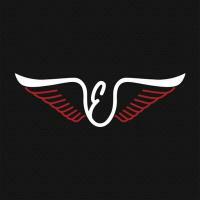 I am forced to play E1 swingweights, and would like to try something different. 3. Do they forge all of the lofts (or at least every other loft) as to not have to bend them to get desired lofts (the offset increase bothers me when benging strong)? In 2017, mike thought he was close to being done with the masters and would have the finished product not too far into 2018. That wasn't the case and they just finished with the masters. Now that those are finalized it won't be long. 3) if you get longer then you don't want lighter swing weights without counterbalancing. In fact I doubt mike would do wedges like that because he would have to take so much weight out of the head and that is the opposite of his philosophy. Swing weight is a resultant not a target. 4) he is going to have 17 different wedges to make wedges from. Different lofts and grinds to work from. He will be able to hit pretty much any loft/offset target you want. a little teaser I got from Mike today!!! 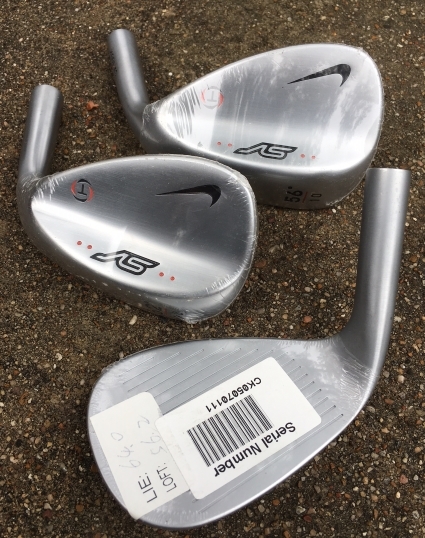 I talked to someone over there on Instagram and it sounds like in person only fittings for wedges, I had thought these might be a little more main stream. I'm heading out there tomorrow to re-blast the faces of my Engage wedges. Wedge 2 of 4 is ready!! Are those their new blanks? I don't see any leftover-Nike in them. Getting my wedge fitting set up for mid Jan and cant wait!! There may be a bit of Spin Velocity blood in them; perfect traditional shapes. Thanks man, me and the Artisan crews spent a lot of time measuring and testing burns for all the graphics/texts I want, after I got the exact measurements it just matter of me spending some time on photoshop and send them the file for final laser burns. As far as grinds, just know that Mike would rather have his clients/customers wait than pushing out imperfect products. The man is a perfectionist, and he will find and only use that perfect forging to satisfy your liking without sacrificing the intended geometry of the wedge. I really hope they make these available in the UK, I'm down to my last set of engages. Only shafted them in October so here's hoping they will last next season and by then I can get a set of artisan. My Artisan putter, wedges and irons will definitely look awesome in this bag! 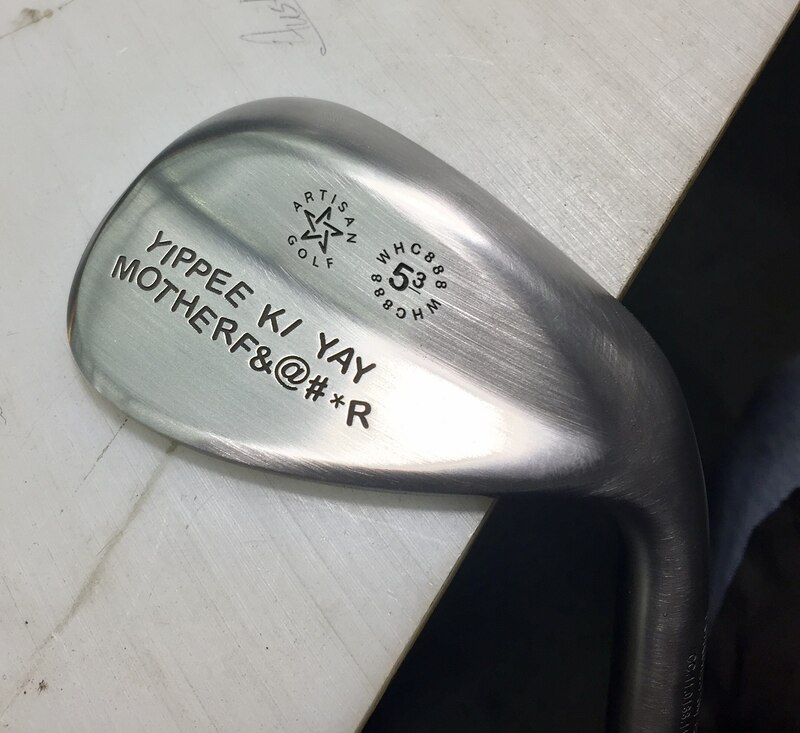 Saw it yesterday while I was at Artisan re-blasting the faces of my Engage wedges. Picture is off the Artisan Instagram account; the bag looks even better in person. 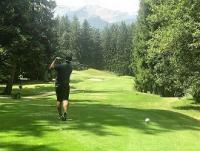 You should have used your “ quick feet “ and swiped one of Mikes head covers ! I’d love to have one of those ! ( and an iron set lol). In my dreams; but I plan to. 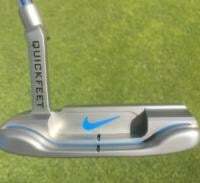 I could get the putter now but haven't played in over a year. 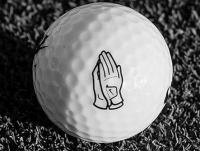 If I get started playing again I'll get one it the bag. Same for the wedge(s), MT is really close to getting the raw forgings to the specs he wants. 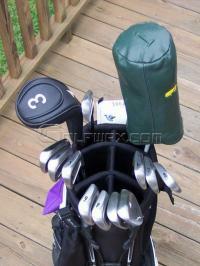 Why have the best wedges in the world sitting in a bag.........they are tools and meant to be used. A set of irons; that is way down the road. that doesnt look like a Vessel bag... i wonder who made it for them. did it have any manufacturer name on it? the bag was made by ufotourgolf.com, it's a gift for Mike from me and a couple of other guys. 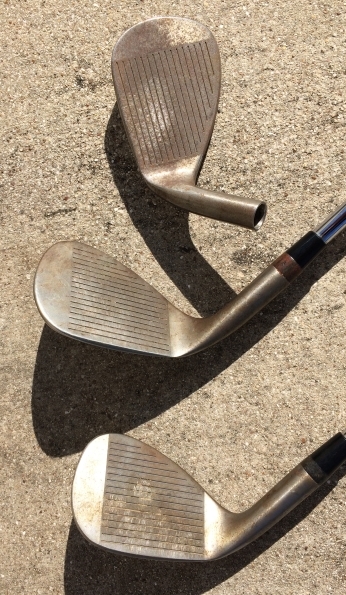 Has anybody put these against Edel wedges? I am playing Edel and love them, but I would also like some of these if they are better. Supporting my Texas manufacturers! 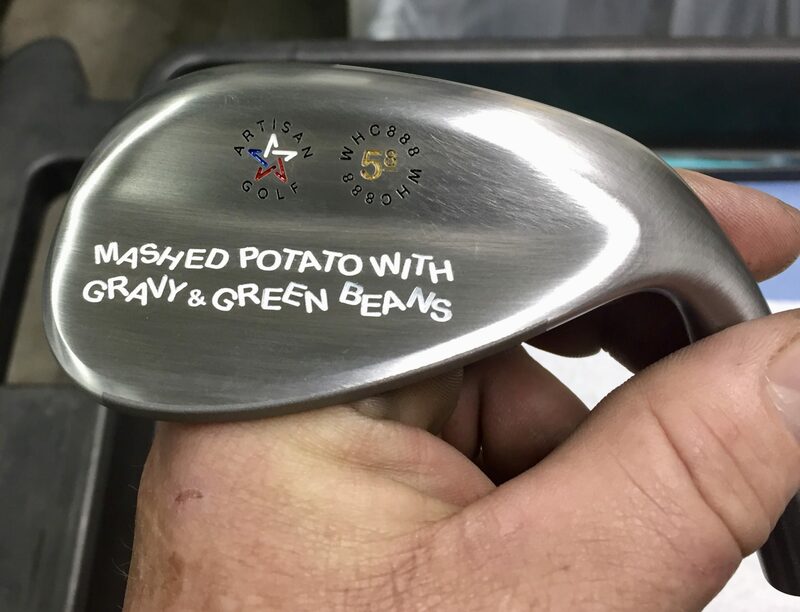 everything you love about Edel wedges I'm sure Mike can do exactly the same for you at Artisan, a custom wedge is mean to be customized to your exact liking, to fit your swing and playing conditions. 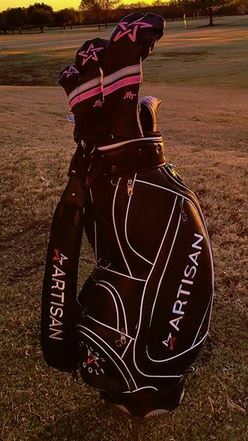 I'm biased so take it with a grain of salt, but @Artisan you get more than just a wedge or a putter, and you are more than just a "customer" and I think that separates Artisan from everyone else. "Better" can cover a lot of different things. What would you want Artisan wedges to be able to do for you that the Edel wedges can't deliver? 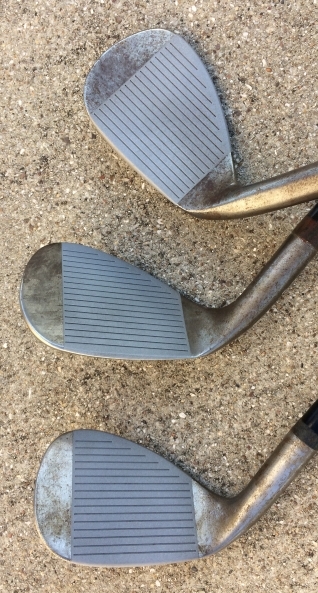 Think of your wedges as tools; do you have the right tools for the job? Edel have in some options a vast amount of bounce, I use the digger grind and love them.